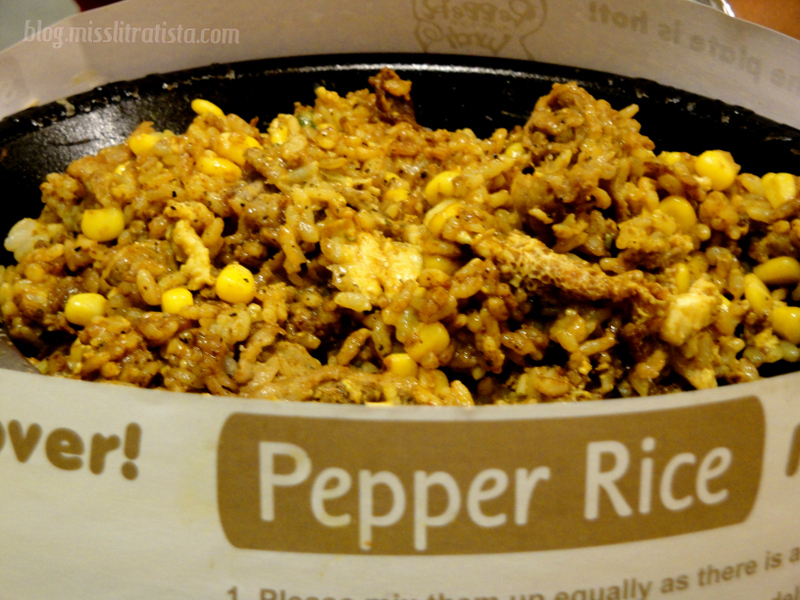 The first time my curiosity got triggered with Pepper Lunch was during the time that I saw a long line of people in their Greenbelt 5 branch. I thought to myself that definitely, their food must have been very good for people to be patiently waiting to be seated considering that the price is a bit steep to my liking. That same curiosity also wanted me to try their meals at that moment but the impatient me opted to dine in another restaurant. 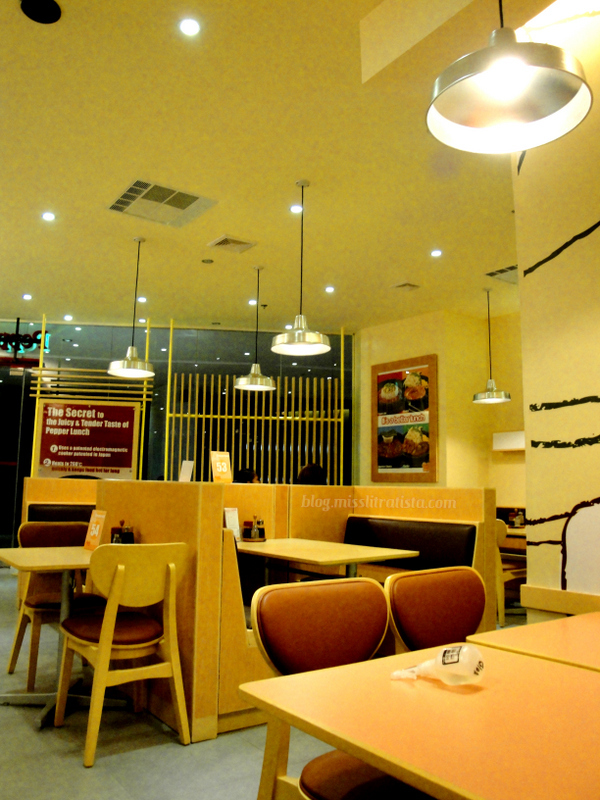 Then I heard that Pepper Lunch already opened another branch at The Peak in Gaisano Mall. On our first visit, the BF and I backed off because like I said, the price was a bit steep and we weren't that hungry enough to splurge around P300 for every meal. However, on one special day in November (it was in fact our monthsary. 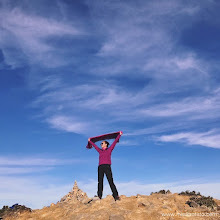 Notice how delayed this blog post is? 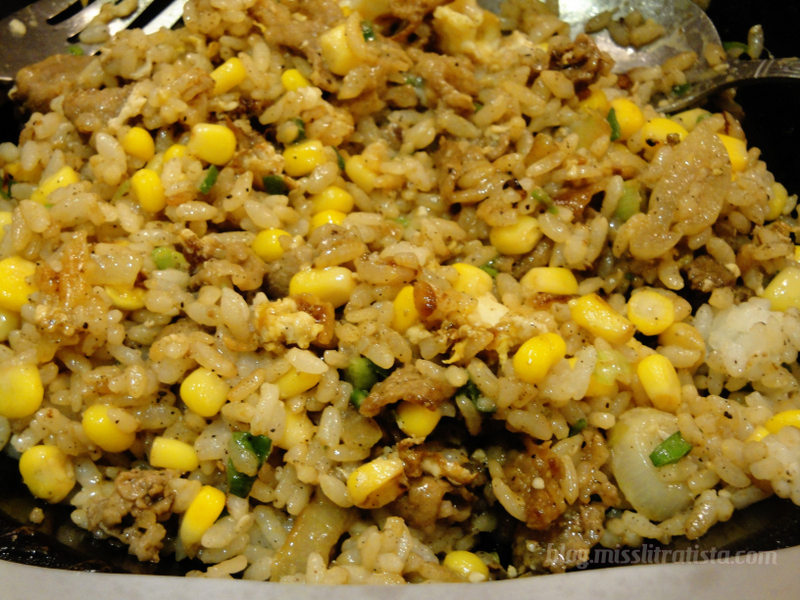 ), we finally gave Pepper Lunch a try. 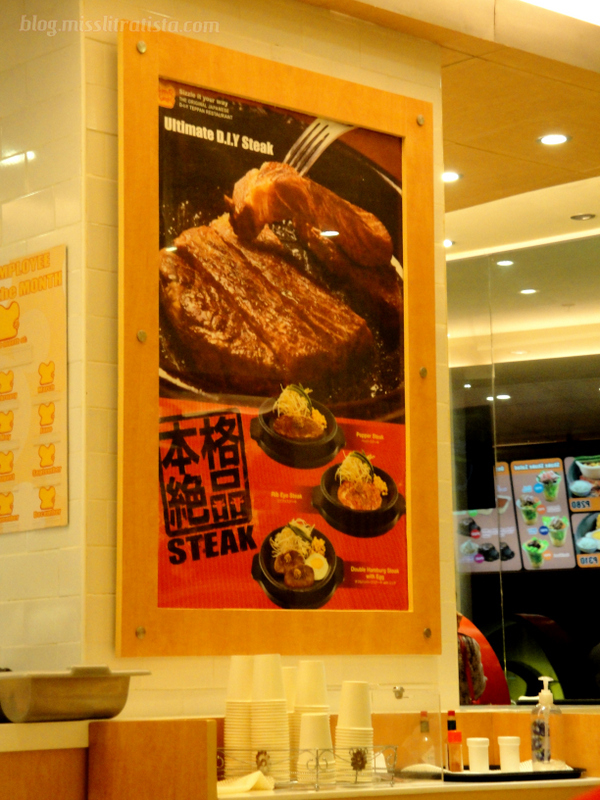 Pepper Lunch is actually a do-it-yourself steak restaurant wherein you get to cook your own food over a 270 degrees Celsius plate in just one minute. The meat served is a bit raw but seasoned and all you have to do is to mix everything up in just a minute in order to cook the food. It was a pleasure mixing the food and watching as the ingredients sizzle on the plate and smelling the delicious aroma which fills the air. 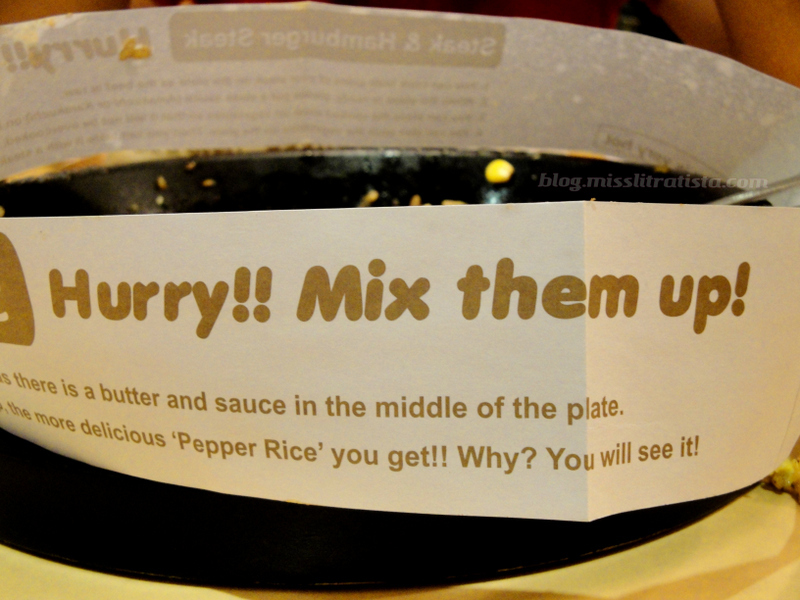 Instructions were written on this piece of paper which surrounds the hot plate. I always wanted my food served warm, but not sizzling hot, as I always have the tendency to burn my tongue in excitement. However, the aroma of the dish, which is actually aggravated by the hot plate, was too delicious to resist immediate consumption of meal. The beef strips in my teriyaki pepper plate were juicy, tender and rightfully seasoned. I find the curry in the pepper rice a bit overwhelming that I could no longer taste the cheese in it but the BF loved the extra spiciness in it. The vegetables also tasted fresh and added an extra flavor to the entire dish which made it more incredible. 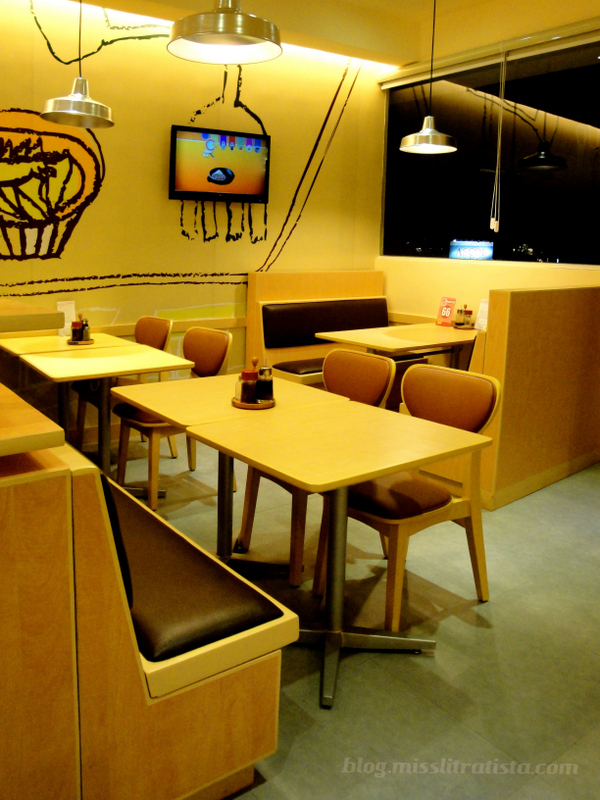 The interiors of the restaurant looked similar to the Japanese restaurants in some anime series. 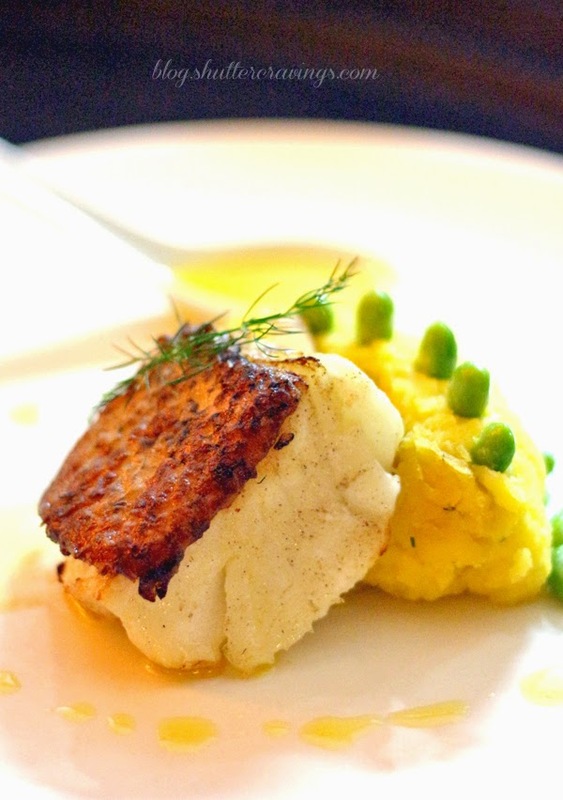 It looked quite simple for a food with a not-so-affordable price. 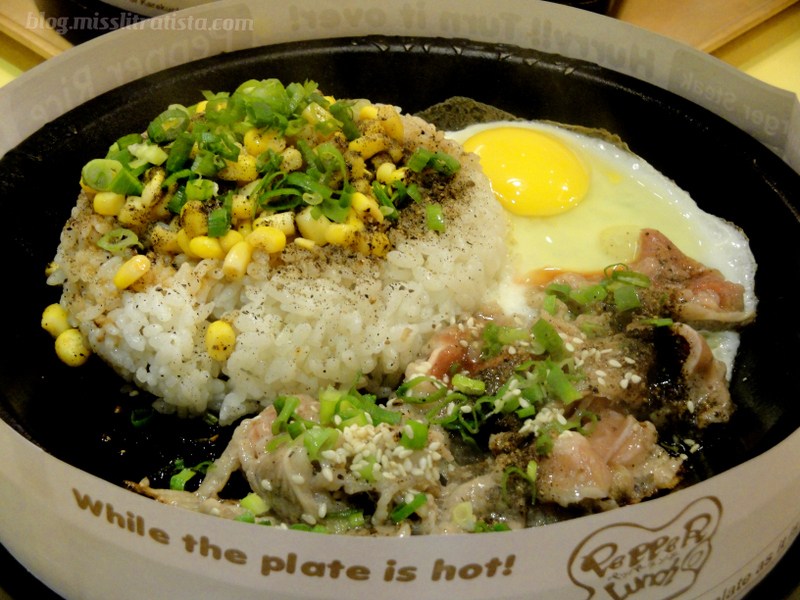 The BF and I were both satisfied with what we had at Pepper Lunch - great tasty meal in large servings and served sizzling hot. I bet it's alright to treat ourselves once in a while with great food despite of its steep price. 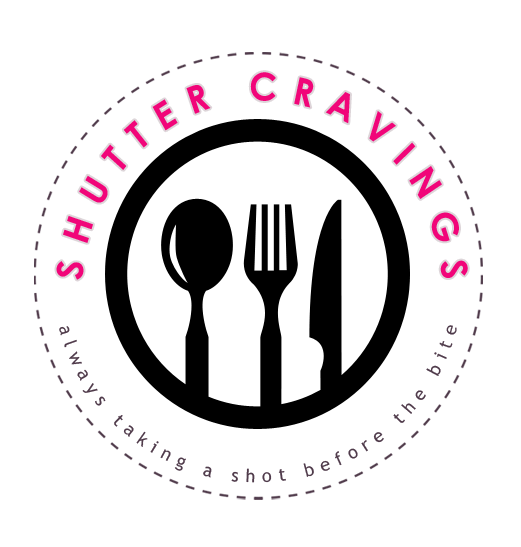 And as I am writing this post, I couldn't help but start to crave again and definitely next time, I'm going to try other meals from their selections. 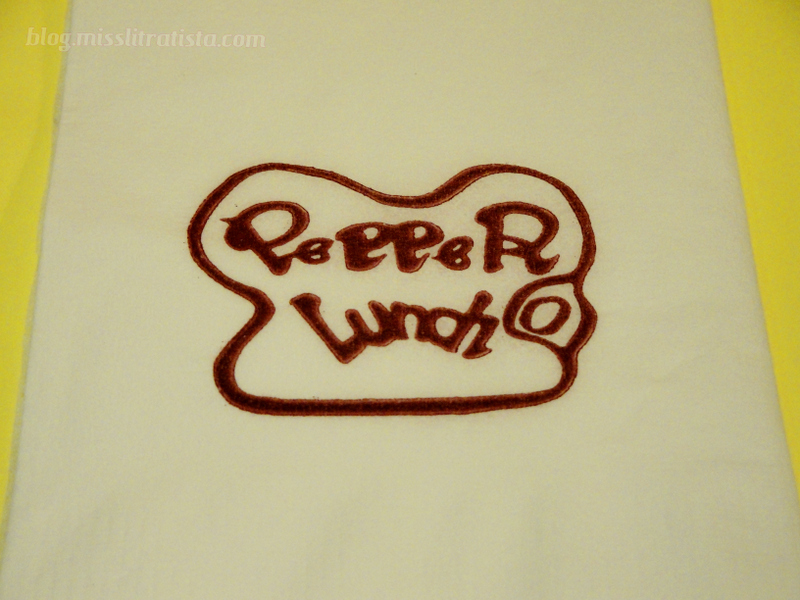 Now, I finally understand why people patiently wait in line just to dine in at Pepper Lunch. I'm just hoping that someday I don't have to wait in line for a sizzling hot meal on a plate. 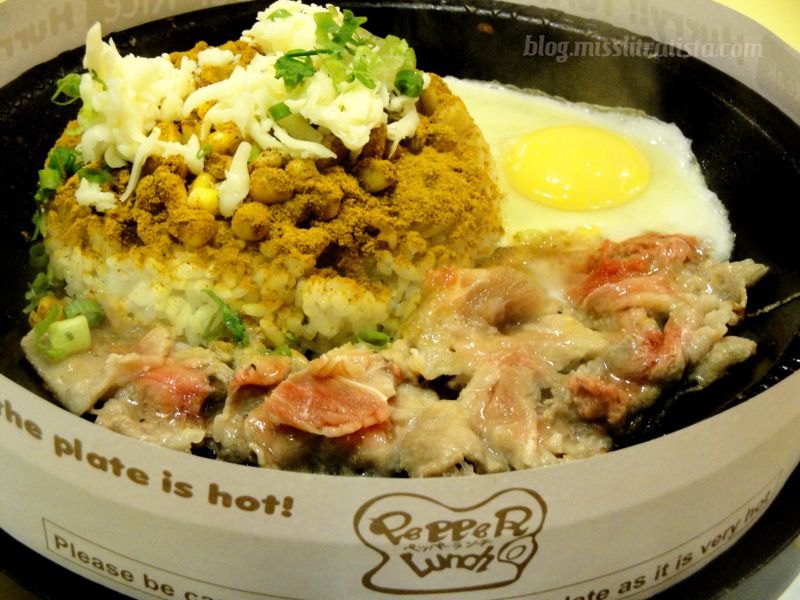 Have you also tried Pepper Lunch? What's your experience? Share it below and I'll be happy to read your thoughts.